Every year, May and June bring a flurry of birthdays and celebrations for our family and the dads in my life get the short end of the stick when their day rolls around. 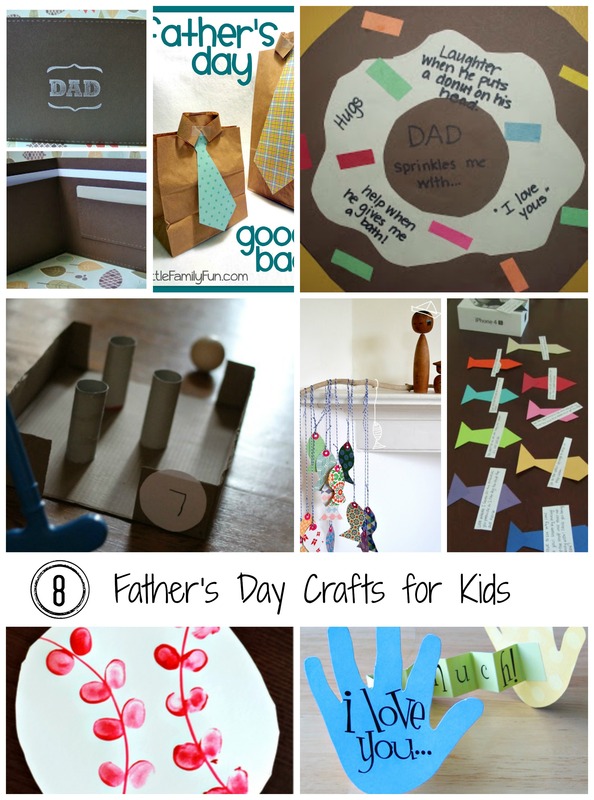 So I pulled together 8 Father’s Day Paper Crafts for Kids to help get me (and the kiddos) inspired to get crafting for Dad. For the very early crafters, try this fingerprint baseball from Crafty Morning. It could even be turned into a card with a cute baseball pun, like “My Dad’s an All-Star”! This adorable hand print card from Day In My Life is one of my favorites. Years ago, when my Moose was really little, we did something similar to this and called them paper hugs! Here’s one for the older crafters. A handmade paper wallet by Little Leaf Lane! Get the whole family involved by filling it with homemade coupons for Dad to cash in for hugs, car washes, or anything else he might love! Wayward Girls Crafts turned a necktie paper crafting project into a scavenger hunt! Get the littles involved by having them decorate the clues. These stunning paper fish from IngThings would be a great way to use your paper scraps. Plus some great scissor practice for the little guys! Get your sporty dads involved in this DIY mini golf course from Reading Confetti made with upcycled paper products. A “sweet” treat for a doughnut loving dad! An Interesting Mix created these paper doughnuts and had the kids add the sprinkles. Little Family Fun created these Father’s Day goodie bags. Have the little guys decorate and fill the bags. I would love to see what my Moose would think of putting in these! I already had some ideas for Mr. Craftery’s Father’s Day surprises this year, but these will definitely get my mind working for next year (or maybe just some special treats)! What are you planning for the dads in your life this year? Leave a comment below and share your ideas! Thanks for the shout-out, honey. I love all of these ideas.